Whisky enthusiasts can once again take part in an immersive journey to discover top-rated whiskies and spirits at Whisky Live Singapore 2018. This November, we can expect to see over 64 whisky and spirit brands including crowd favourites from Balblair, Bruichladdich, Gordon Macphail and Signatory Vintage Whisky. We can also expect launches from Glendronach (with their new-old 15 year old Revival, Blanton’s Bourbon Whiskey from the US and Penderyn Whisky from Wales. Whisky Live Singapore 2018 – organised by La Maison du Whisky – will be held on the weekend of 3 – 4 November, and moving location to the Andaz Singapore. The different experiences this year can be seen from their names – The Whisky Room & Spirits Room, La Boutique, The VIP Area, The Masterclass Rooms, and The Cocktail Terrace. There will be a stronger focus on masterclasses, with a total of 14 sessions over the 2 days. These include Collectors Masterclasses such as Japanese Whiskies, Islay Room, and The Future Collectors. The Masterclass Rooms will also showcase the exclusive launch of the new Bruichladdich Black Art. There will also be a larger VIP area, called The VIP Area (in case we get confused), where you can try (for a price) over a hundred prestigious new releases, singles casks, and limited-edition whiskies and spirits. You will want to spend the most time in the The Whisky Room & Spirits Room, where brands and distilleries will be offering their whiskies and spirits for samples. After (or before) a few drams, head over to the The Cocktail Terrace to appreciate some fine cocktails from the likes of Monkey 47 Bar and New Colours Bar by LM&V. For two days only, La Boutique will be the largest spirits ship in Singapore, with over 300 different whiskies and spirits available for purchase. There will be a specialist team available to help you select your spirits to buy. We spoke with Sebastien Cady, Trade Marketing Manager, La Maison du Whisky about Whisky Live and the Singapore customer. 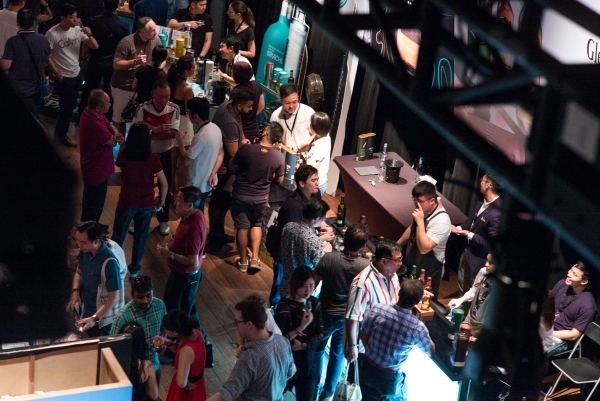 Spirited Singapore (SS): How have you seen the evolution of Whisky Live 2018? Sebastien Cady (SC): We’ve seen a tremendous progress in Whisky Live Singapore throughout the years. Each year, we noticed a rise in the number of female guests participating in the Whisky Live event; in fact they represent about 30% of the attendance. Singaporeans know their Whisky, year after year, it is obvious that the attendees are doing their own research on Whiskies, from this we are certain that Singaporeans have vast knowledge on the whiskies and spirits, and it brings us great joy, as the organizers, to see like-minded individuals congregate in this event. Every year, we have the chance to welcome new distilleries, and we can see that the guests are adventurous; they would get out of their comfort zone and try the new Whiskies from small distilleries or craft distilleries. Whisky Live is a yearly event that gives every brand, big or small, a chance to showcase their Whiskies. The cocktail scene in Singapore is every-growing, that was also one of the reasons why we created the first Whisky Live’s cocktail street. This year’s Whisky Live Singapore 2018, we will also welcome several new bars at our dedicated cocktail terrace. 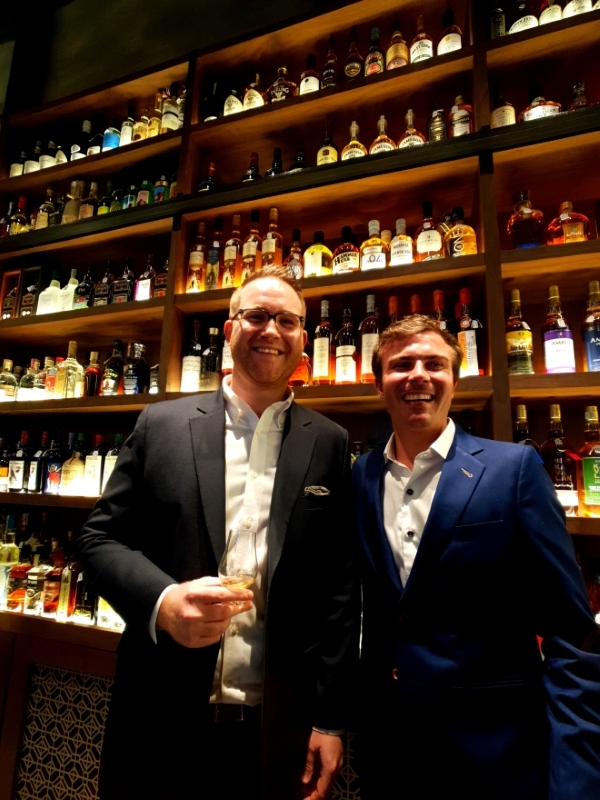 The Whisky Live Singapore’s VIP room, which features rare vintage Whiskies, has always been highly sought after; we’ve seen tickets swiped out in a matter of 5 days. Our aim is to give visitors a true Whisky Live experience, this year at Andaz, guests will get a chance to enjoy a delicious dinner at the restaurant at Andaz, and a Glencairn Whisky tasting glass to do their own Whisky appreciation at home. SS: Why the decision to move back to the “mainland”? SC: Since the inception of La Maison du Whisky, the objective has always been to make Whisky accessible to anyone who is a big fan of Whisky. To be at Sentosa was an amazing experience, but we felt that there is a need to be stationed at a more prominent location. 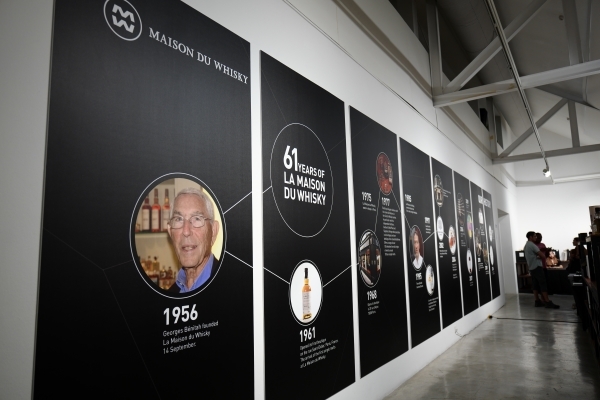 We felt that it is important to have the event closer to our shop La Maison du Whisky, which was revamped earlier last year. SC: The main aim for the Whisky Live Singapore event is to give Singaporean the platform to experience new and different Whiskies and Spirits. We’ve seen guests returning to Whisky Live Singapore year after year, to discover brand new Whiskies. Having a new space gives guests the chance to have a new experience of the event itself. Singaporean consumers are ever changing, through all the different editions of Whisky Live Singapore, we’ve noticed the open-mindedness to learn and discover new Whiskies. It brings us no greater delight as organizers, to share this experience with everyone. For more information on Whisky Live Singapore 2018 and for tickets enquiries, visit www.whiskylive.sg.